Royal jewels featuring thousands of diamonds will go on show at Buckingham Palace from Saturday as part of celebrations to mark the Queen's Diamond Jubilee. 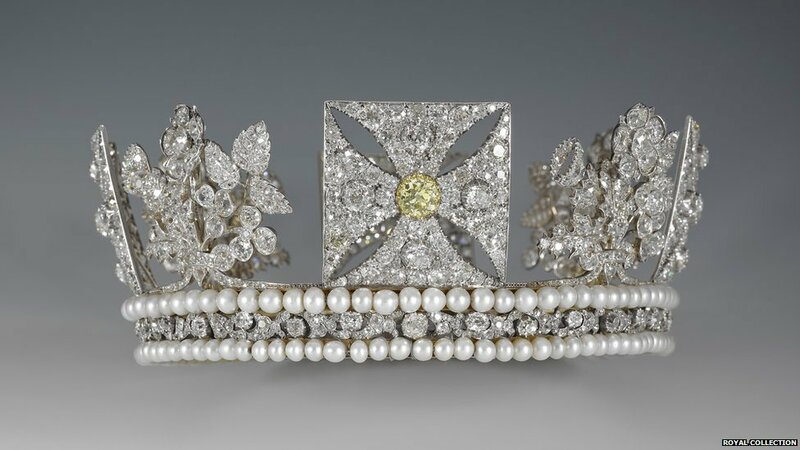 Among them will be the Diamond Diadem, made for the coronation of George IV in 1821, which has been worn by the Queen to and from the State Opening of Parliament since the beginning of her reign. Another eyecatching piece on show will be the miniature crown worn by Queen Victoria for her official Diamond Jubilee portrait in 1897. 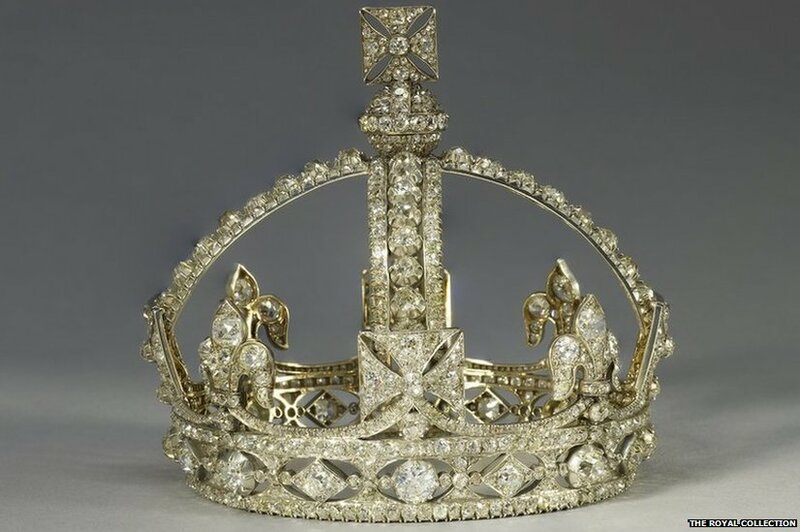 The crown contains 1,187 diamonds. Queen Victoria’s Fringe Brooch will be on public display for the first time during the exhibition. 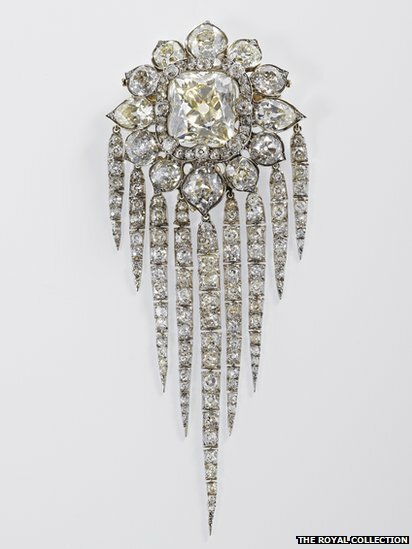 The brooch was made by R. & S. Garrard & Co. for Queen Victoria in 1856, and features a large emerald cut central stone surrounded by small diamonds. 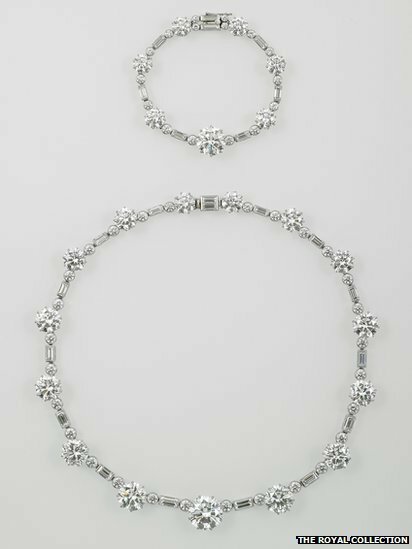 The Queen's South Africa Necklace and Bracelet was a gift from the Government of the Union of South Africa to the then Princess Elizabeth on her 21st birthday in 1947. It was presented to the princess by the South African Prime Minister, Field-Marshal Jan Smuts. 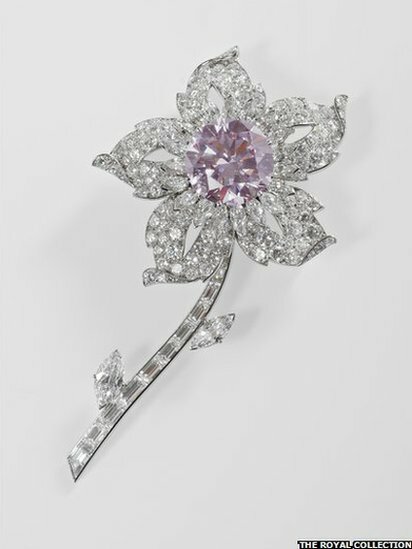 The Williamson Diamond Brooch incorporates one of the finest pink diamonds ever discovered. The original stone was excavated from a mine in Tanzania and given to the Queen by the Canadian geologist Dr JT Williamson before her wedding in November 1947. Some of the pieces on display have been worn by senior royals during major state occasions. 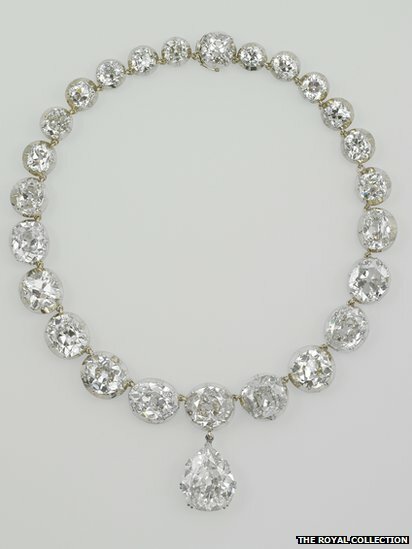 One of these, the Coronation Necklace was originally commissioned by Queen Victoria. It was subsequently worn by Queen Alexandra, Queen Mary, Queen Elizabeth the Queen Mother, and Queen Elizabeth II at their coronations. The jewels will be on display until 8 July and then go on show again between 31 July and 7 October.